Mondrian London and Innermost to launch exclusive summer rooftop fitness series. National burger month is upon us and we are set to celebrate all month long, with the most scrumptious, juicy burgers in the capital. Here at Sanderson, we take National Burger Month seriously. So we’re embracing the burger boom and getting down n’ dirty this month with Sanderson's Filthy Burger to celebrate at Long Bar. Everything from the beef short rib and brisket to the fresh-ground chuck makes this patty unashamedly meaty, complete with a helping of bone marrow for that extra flavour and juiciness. 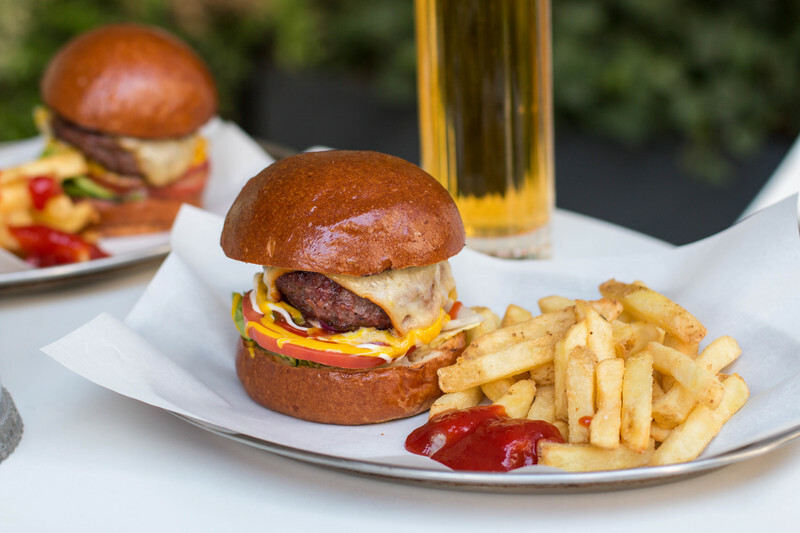 Topped with cheese, lettuce, tomato, red onion, ketchup and mustard, served in a fresh brioche bun and a side of fries. for just £18, this winning combination is not one to be missed. Got beef? Then get ya buns out and celebrate National Burger Month with some of the best baps and prime patties in all of the land. 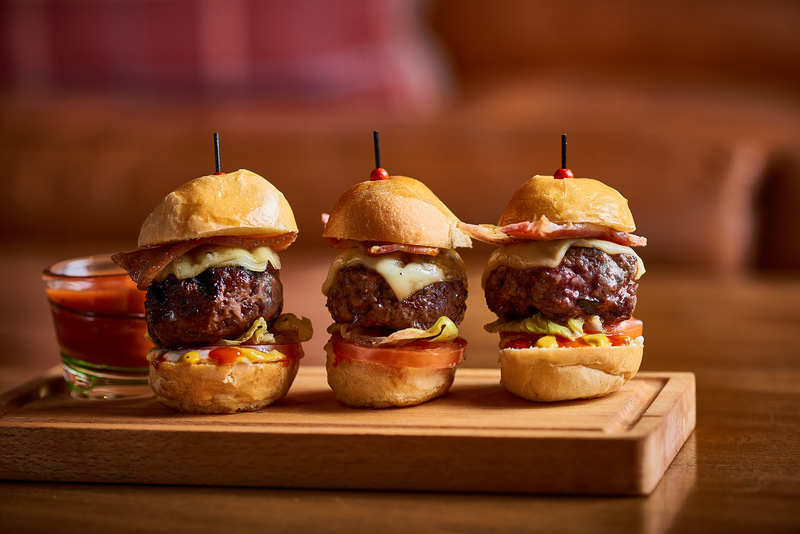 Join us in The Den and indulge in our Beef Sliders, topped with Swiss cheese, lettuce, tomato and gherkin for just £16. Three juicy, bite-sized, meaty marvels, that are bursting with flavour - perfect to enjoy with your pals. Let the burgermania begin. We're welcoming the new trend for kitchen takeovers with open arms and empty bellies with our latest pop-up series ‘Tuesday Takeover’, in which we will be sharing and showcasing some of London’s hottest street-food connoisseurs in Rumpus Room and throughout May, we will be joined by the renouned foodie fanatics behind Burger & Beyond. 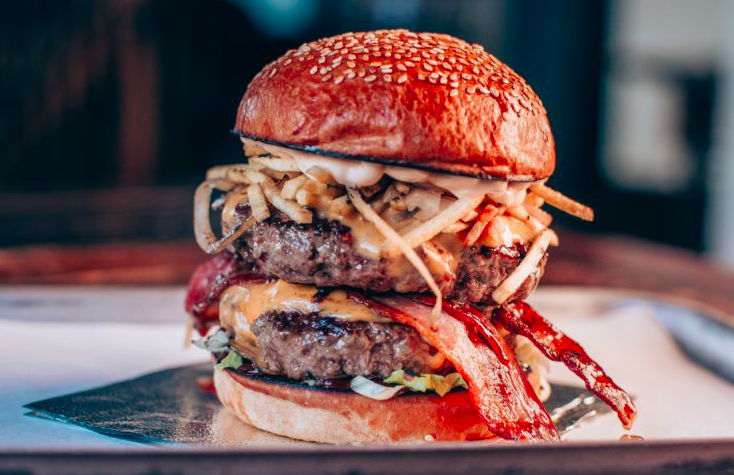 The poacher turned gamekeeper and farmer turned burgersmith have gone above and beyond when selecting their ingredients to ensure that only the best is used for their deletable burgers, each of which is cooked to order from their beloved Citroen H Van. From prime patties to signatures such as the Hot Mess, consider this your burger bucket list, because your life is simply not complete until you've tried them all. Guaranteed to give you a severe case of the meat sweats.